Dental emergency could happen to anybody at any time of day. At Lara Village Dental, we will always try our best to squeeze you in on the same day so your urgent dental problems could be dealt with as early as possible. Please call us now on (03) 5282 5272 to make an appointment. Lara Village Dental offers gap free check-up and x-rays for patient with private health insurance. We would try our best to provide you with the most gentle and professional treatments in a effective and friendly environment. When you call us for dental emergency appointment, please advise our reception the dental problem you have, and we would try to fit you in with the earliest available appointment . What are some of the common dental emergencies? Toothache may be due to bacterial infection of the tooth or gum. Depends on the severity, timing and extent of infection, treatments could be quite different. It is strongly recommended to come in and see your dentists for an assessment and work out what is causing the toothache and hence come up with the most suitable solution to your problem. Timely management significantly improves the chance of tooth survival and often less expensive. When there is decay under the filling or crown, the chemical and physical connection of the fillings or crowns to the tooth structure might be breached and sooner or later filling or crown can come loose/off. At the same time, because affected tooth is no longer well-protected, the tooth could also feel sensitive to hot or cold or sore. It is paramount to fix the problem as soon as possible. By delaying treatment, a simple filling might turn into something more complicated or even loss of tooth. When trauma occurs, the first thing to do is to stay calm. If the person is unconscious, it is best to contact 000 immediately. If there is excessive bleeding or other open wound injuries in any other areas of the body, it is best to try and stop the bleeding by applying firm pressure with a clean piece of cloth, and go to the hospital emergency as soon as possible, prior to contacting your dentist to check the damages to your teeth. If part or whole of the tooth is completely or partially knocked out, it is best to be put back in position straight away if at all possible. It is important to only handle the tooth by holding its crown/head, and try to avoid touching the root end. If the tooth is completely knocked out and could not be re positioned for any reasons, then it is best to store the tooth in milk or saliva and bring it to your dentist as soon as you can. Time is of great importance here. We recommend you to come in to see us within 60 mins. Facial swelling is a very serious condition and it could be lift threatening. If you are experiencing symptoms of difficulty with breathing and swallowing, you should go to the hospital emergency department immediately. One of the most common reason of facial swelling is dental abscess. Dental abscess develops when the body’s immune system could not sustain the growth of bacteria. Antibacterial might be necessary to temporary control the spread of infection, but the offending tooth or gum must be treated in order to completely stop the infection. Other reasons of facial swelling could be injuries, virus infection or tumor. If you are affected by facial swelling, please call us for an assessment, and we would do out best address your condition. Is there any way to prevent a dental emergency? At Lara Village Dental, we believe prevention is the key to oral health. Regular check-ups and cleans, and routine dental x rays every 1-2 years are certainly going to pick up most of dental problems early. Early intervention significantly increase the chance of saving the tooth and often the treatment procedure is much easier and costs a lot less. Sports mouth guards are highly recommended, as they would minimise the impact of any injuries during sports. Our dentists recommend mouth guards for any people (kid, teenager, or adult) who engage in sport, not just for professionals. 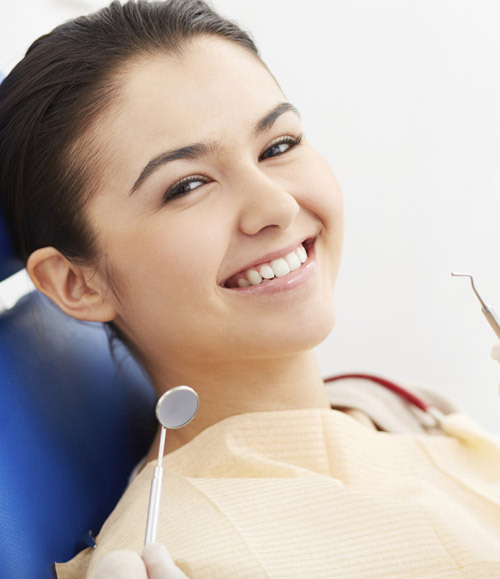 We accept all major private health insurance and dental vouchers. Call us now and our friendly team of Lara Village Dental will try to assist you the best we could.